The Citizens Commission on Human Rights (CCHR) hosted a conference on the Florida mental health law for defense attorneys for the purpose of discussing strategies to effectively serve families and to eradicate violations of the law at the Fort Harrison Hotel in Clearwater. The symposium, attended by attorneys from Jacksonville to Fort Myers, covered changes to the mental health law, significant case law and successful actions for defending the rights of citizens being held under a Baker Act. “Over the past several years important changes have been made to the Baker Act which specifically better protect the rights of children and hosting this symposium was important so that these attorneys could share their successful actions in defending clients being held for involuntary psychiatric examination,” said Diane Stein, President of the Florida chapter of CCHR. 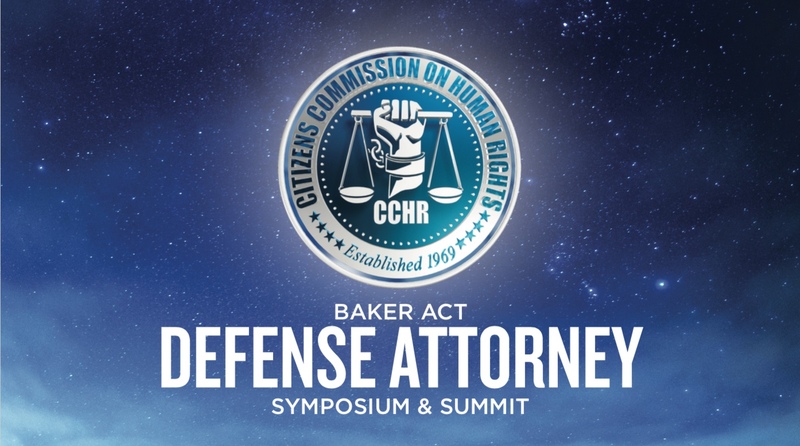 While the original stated intention of the Baker Act was to protect the rights of citizens sent for involuntary psychiatric examination, it has become a source of great abuse prompting CCHR Florida to not only host this symposium but to launch a public information campaign in 2016 to educate Floridians on their rights under this law. As part of this campaign, CCHR hosts a seminar regularly delivered at their center in downtown Clearwater by attorney Carmen Miller who, as a former Assistant Public Defender in the Thirteenth Circuit in Tampa, has a great deal of experience on the mental health law. Now in the private sector, Ms. Miller specializes in cases of those who have been Baker Acted. To learn more about the Baker Act or to reserve a seat at the next seminar please call 727-442-8820 or visit https://www.cchrflorida.org/events/. Thank you for this necessary work! I have a lot to say about Baker Act abuse!